All websites, no matter how big or small, need a domain name. You can purchase domain names through domain registrars. Or, you might already own a domain and want to transfer it to a new registrar. Either way, it can be hard to know which registrar is best for your site’s goals, your budget, and your needs. Some registrars are more expensive than others, and some lack free features which others offer, for example domain privacy protection. Domain.com was founded in 2000. The company is owned by Endurance International Group. The company specializes in domain names, web hosting, VPS hosting, Email, SSL certificates, web design, and online marketing services. They currently offer WordPress hosting, VPS hosting and shared hosting plans. No matter the hosting plan you choose, you’ll receive at least one free domain name along with unlimited disk space, SSL certificate, eCommerce solutions, and marketing tools. Customer service options include 24/7 phone support as well as a Frequently Asked Questions area. If you just want to use Domain.com to register a domain, you’ll pay $9.99 every year for a .com or .net website. Domain privacy protection costs an additional $8.99 per year per domain, so you can expect to pay about $14.98 for a .com domain and WHOIS privacy protection. Bob Parsons founded GoDaddy in 1997, so they’ve been around for more than 20 years. The company, headquartered in Scottsdale, AZ, was originally named Jomax Technologies, but it’s now known as GoDaddy Group Inc.
More than 17 million people use GoDaddy around the world, the company manages over 73 million domain names. This makes them the world’s largest domain name registrar. Aside from domain registration, the company offers domain transfers, professional email powered by Microsoft, domain value approval, web hosting, web security, online marketing tools, and more. They also offer round-the-clock global customer support that is available via phone and live chat. If you want to register a .com website with GoDaddy, it will only be $0.99 for the first year. After that, it will cost you $14.99 each year. Other kinds of top-level domains like .net, .tech, or .co will cost a bit more annually. WHOIS privacy protection with GoDaddy will cost you a minimum of $7.99 per year per domain for personal protection. If you want privacy protection for your business as well, it’ll cost you a bit more – $14.99 per year per domain. Namecheap was founded in 2000 and is based in Phoenix, AZ. They are recognized as an accredited registrar by the Internet Corporation for Assigned Names and Numbers (ICAHN). In the years since Richard Kirkendall founded the company, they have amassed 3 million customers, and they manage over 7 million domains. Back in November of 2010, it was named “Best Domain Name Registrar” by Lifehacker. It was also named “Most Popular Domain Name Registrar” in 2012. The company offers domain transfers, app integration, SSL certificates, email, and much more. Namecheap is also a web hosting service provider. They offer shared, WordPress, reseller, VPS, and private email hosting. They offer live chat and email ticketing customer support as well as a knowledge base where customers can find self-help tutorials and guides. 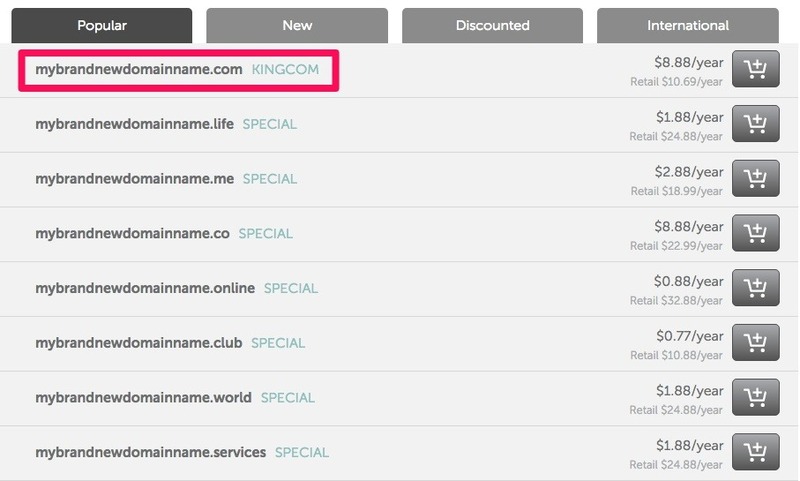 If you want to register a .com website through Namecheap, you’ll have to pay $8.88 per year. They also offer other top-level domains that are more affordable like .life, .me, .co, .online, .club, and more. Privacy protection is available by WhoisGuard, which is completely free. Doesn’t matter if you register a new domain or transfer over an existing one. Bluehost was founded in 2003, it’s based out of Provo, UT. Endurance International Group (EIG), one of the largest hosting conglomerates on the planet, owns the company. Over 2 million websites are hosted with Bluehost. The company is very secretive with their numbers, but they had over 525,000 customers in 2010. WordPress.org also recommends Bluehost as their choice of a web host. Since Bluehost is primarily a web hosting service provider, they offer shared, WordPress, VPS, dedicated, and reseller hosting. 24/7 live chat, email ticketing, and phone support are available through Bluehost. Therefore, you’ll always be able to access a customer service representative to help you out with any issues. There’s a vast knowledge base available if you want to search for the answers to your questions yourself. One domain comes free with each hosting package. If you are not planning to use Bluehost as your web host or you want to register more than one domain, expect to pay $11.99 per year for each domain. Domain Privacy Protection is an additional $0.99 per month which will cost you a grand total of $11.88 per year. Altogether, you’ll pay $23.87 per year for your domain and privacy protection. HostGator was founded in 2002. Endurance International Group (EIG) purchased it in 2012, and they still own the company today. It is headquartered in Houston, TX. Most of the company’s servers are located there and in Provo, UT. By 2013, HostGator had acquired over 400,000 customers and 9 million domains. Like Bluehost, HostGator primarily serves as a web hosting provider. Hosting options include web, cloud, WordPress, reseller, VPS, dedicated, application, and Windows hosting. We recommend HostGator’s WordPress Cloud Hosting. The uptime, page loading speeds, and pricing are great. In fact, in comparison to the other competitors, we rank HostGator Cloud as the best overall and in terms of uptime. They provide customer support through live chat and email ticketing. HostGator also offers tons of resources like forums or video tutorials to help you resolve any issues. If you want to register a .com website with the company, it will cost you $12.95 per year. You’ll get at least one free domain with the Hatchling Cloud plan. The Baby Cloud and Business Cloud plan come with free unlimited domains. The same applies to other HostGator plans like web hosting, WordPress hosting, or reseller hosting. Sites ending in .co, .org, .net, .biz, and .info sites will cost the same. If you’re already using HostGator to host your site, a .com site will only cost you $2.99 per year. WHOIS privacy will cost you an extra fee of $14.95 per year. Name.com was founded in 2003 by William Mushkin, the founder and former President of Mushkin Inc. The company is now owned by Right side Group and is located in Denver, CO. Since 2003, Name.com has gained 320,000 customers and now controls two million of the 16.5 million domain names managed by Right side. Features include domain transfers, app integration, SSL certificates, a website builder, email, and a few web hosting options. On WordPress hosting and other Name.com hosting plans, a free domain is included with your purchase. The Startup hosting plan supports one website, the Name builder plan supports 25, and the Unbelievable package supports an unlimited number of sites. Customer service options include a knowledge base and site contact form where you can submit an email ticket. Live chat support is available every day from 10 AM to 5 PM MST, while phone support is also available every Monday through Friday from 8 AM to 6 PM. Websites ending in .com cost $9.99 per year, while a .host site will set you back as much as $109.99 each year. WHOIS privacy is available with Name.com for an additional fee of $4.99 per year, but this feature is not available for all domain extensions. 1&1 was founded in 1988, making them one of the oldest domain registrars out there. The company is owned by a parent company named United Internet, which is a German internet services company. 1&1 is based out of Montabaur, Germany and has other locations in Karlsruhe, Zweibrücken, Munich, and Berlin. 1&1 products are available to users in Germany, Austria, Great Britain, Spain, France, Poland, the United States, Canada, Italy, and Mexico. Over 7,000 employees work for the company across the world. Features include domain transfer, a website builder, an online store builder, web hosting, WordPress hosting, managed cloud hosting, VPS hosting, business email management and accounts, and more. Online marketing and email marketing tools are also available through 1&1 as well as SSL certificates. They have customer support available 24/7 via live chat, phone support, email, and social media. 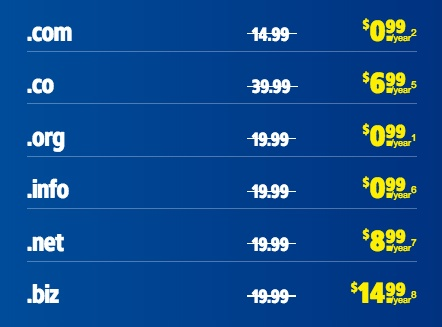 Pricing for .com sites on 1&1 is fairly cheap in comparison to other web hosting services: $0.99 per year. A .biz site is the most expensive at $14.99 per year. WHOIS domain privacy protection is available for free with 1&1 on domains that allow private registration. Register.com was founded in 1994 and is headquartered in New York, NY. The company is owned by Web.com Group Inc., which is an American domain name and web development company. Register.com currently manages over 2.5 million different domain names. Features and products include domain transfers, website and e-commerce site builders, hosting and SSL options, email services, and online marketing tools. Online marketing tools include search engine optimization (SEO), pay-per-click advertising (PPC), Facebook Boost, and more. Customer support options are available by phone and email for all departments. Unfortunately, there doesn’t seem to be a live chat option. Customer support is available from 9 AM to 5 PM from Monday to Friday and 9 AM to 10 PM on Saturday and Sunday. A .com website with Register.com will only set you back $5 per month. Sites ending in .net, .org, .biz, .info, and .us cost the same amount as .com sites per month. This rate is much cheaper than other domain registrar competitors like Go Daddy or Yahoo. WHOIS privacy protection is available for an additional $11 per year, so your total annual fees for a domain and WHOIS protection should be about $16 each year. InMotion Hosting was founded in 2001, and it’s based out of Los Angeles, CA. The company also owns a data center located in Ashburn, VA.
InMotion Hosting is a privately owned company that owns over 300,000 domains. They also own Web Hosting Hub, which is a web host created for beginners and bloggers. They’re known for being a web hosting powerhouse with fast servers and great up time. As far as hosting goes, the company offers shared business, VPS, reseller, and WordPress hosting. They also offer enterprise hosting solutions and web design services. Plus, automatic domain renewal is included with each plan, and a free domain is available with some plans like the Shared Business Hosting package. The company offers 24/7 customer support in the form of live chat, email, Skype, and phone support. 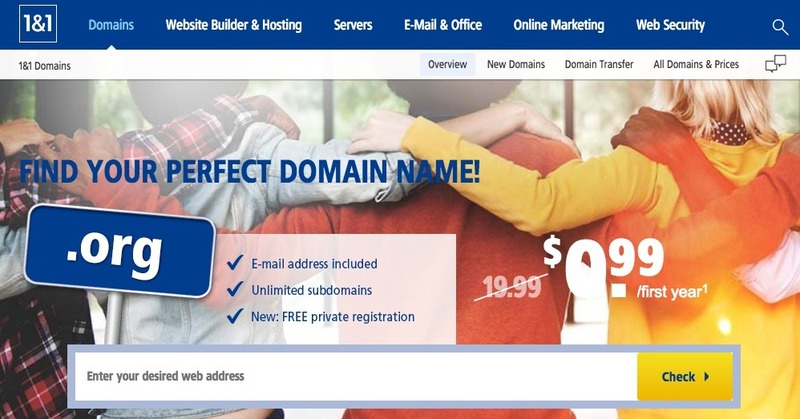 If you’re looking for a .com domain, expect to pay $14.99 per year. The same applies to .net, .org, .biz, .info, and .us domains. Domain privacy protection is an extra $9.99 per year, bringing the grand total to $24.98 per year. The company also offers a 90-day money back guarantee, so you’ll be able to get a full refund if you find that In Motion Hosting isn’t the web hosting site or domain registrar for you. Google launched Google Domains on January 13, 2015. The software is currently in the beta stage. The Google Domains US Support Team is available 24 hours every day of the week. You can contact them via live chat, email, or phone. A .com website through Google Domains will cost you as little as $12 per year per domain. Automatic renewal is available through the site. Before each automatic renewal, you’ll receive an email notification when each renewal occurs so that you have the chance to cancel your domain’s registration. You can also buy domains for up to ten years. 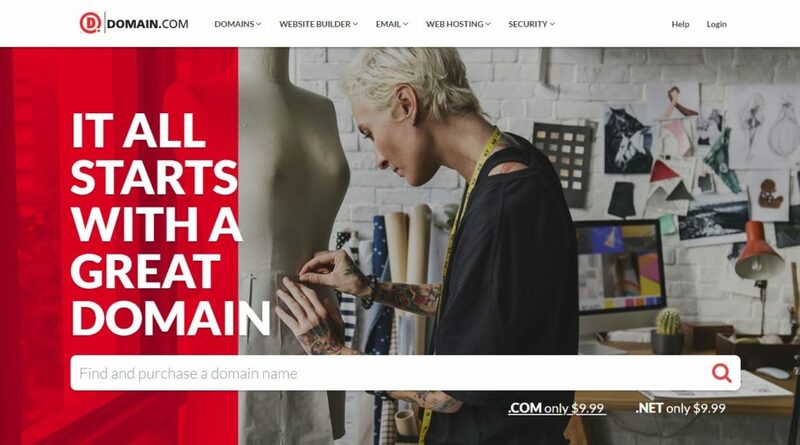 This means you can buy a .com domain for two years for $24 or ten years for a fee of $120. WHOIS privacy protection is included with your domain at no additional cost. Note that some domains, such as .co.nz or .co.uk, do not allow private registration. It’s never been easier to set up and create a website, especially if you use a Content Management System (CMS) or a website builder. You can’t avoid registering a domain name. You can’t register a domain name without a domain registrar that takes care of the back end of the website registration process. If the domain name system didn’t exist, we’d have to navigate the internet by entering long, difficult-to-remember IP addresses. Choosing the right domain name and domain registrar shouldn’t be taken lightly! GoDaddy is a highly popular domain registrar with 17 million users. Namecheap was named “Best Domain Name Registrar” in 2010 and “Most Popular Domain Name Registrar” in 2012. 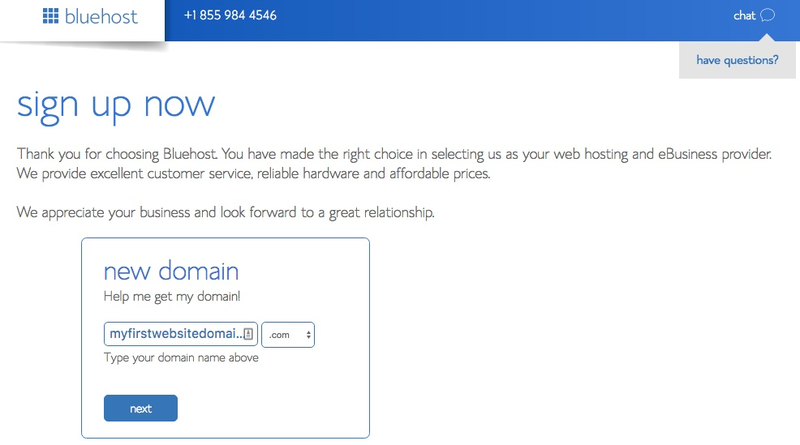 Bluehost is not only a great place to register a domain; it’s also a great place to host your website. Over 2 million websites are hosted with Bluehost. 9 million domains are registered with HostGator. Like Bluehost, they are primarily a web hosting service provider. Name.com controls over 2 million domains out of the 16.5 million domains owned by their parent company, Right side. 1&1 has been around for ages in the domain registrar world; they were founded in 1988. With 1&1, .com sites are only $0.99 per year per domain. Register.com manages 2.5 million domains and offers extensive online marketing tools. InMotion Hosting offers automatic domain renewal and tons of different web hosting options. Google Domains is currently in the beta stage, but it’s still a great domain registrar. They allow you to register your domain for up to ten years, and WHOIS privacy protection is included with every eligible domain. You can find a full list of ICANN-Accredited Registrars here. Get started by choosing a domain registrar from our list that best suits your needs and budget today. I assume that people who recommend 1 & 1 have never used it! Worst internet company out there? It’s recommended to take a domain name separately from the webhosting provider. If my registrar is also a webhosting provider, should I register my domain name first and subscribe to a plan after ? Which registrars would you recommend? GoDaddy recently decided “email isn’t free”, so “free email with domain” is no more.